There’s nothing quite like the rush of recognition that comes from seeing a familiar face. But scientists have been hard-pressed to explain how we identify well-known faces—or how that process differs from the way we perceive unfamiliar ones. There is also the question of different kinds of familiarity. Does it matter, for example, if you are gazing at the face of a real-life acquaintance, or simply a celebrity whose picture you’ve seen a million times? Put another way, do the same neural mechanisms kick in whether you’re looking at your mom, or at Brad Pitt? Now researchers at The Rockefeller University have begun to unravel the mystery of how the brain recognizes familiar faces. Working with rhesus macaque monkeys—primates whose face-processing systems closely resemble our own—Winrich Freiwald, head of the Laboratory of Neural Systems, and Sofia Landi, a graduate student in the lab, discovered two previously unknown areas of the brain involved in face recognition: areas capable of integrating visual perception with different kinds of memory. Their findings were reported today in Science. These two newly discovered brain areas offered up yet another surprise. When the researchers showed the macaques blurry images of personally familiar faces, which gradually became sharply defined over the course of half a minute or so, the activity of previously known face-processing areas increased steadily over time (imagine a diagonal line climbing upwards on a graph). But the new areas first showed little or no initial increase in activity, followed by a sudden surge (imagine a flat line followed by a steep upwards curve)—an all-or-nothing response that evokes what Landi calls “the sudden ‘aha’ moment” we experience when we recognize a familiar face. These new findings will allow the researchers to further investigate the neural mechanisms that underlie face recognition—and how the brain responds to different kinds of familiarity. 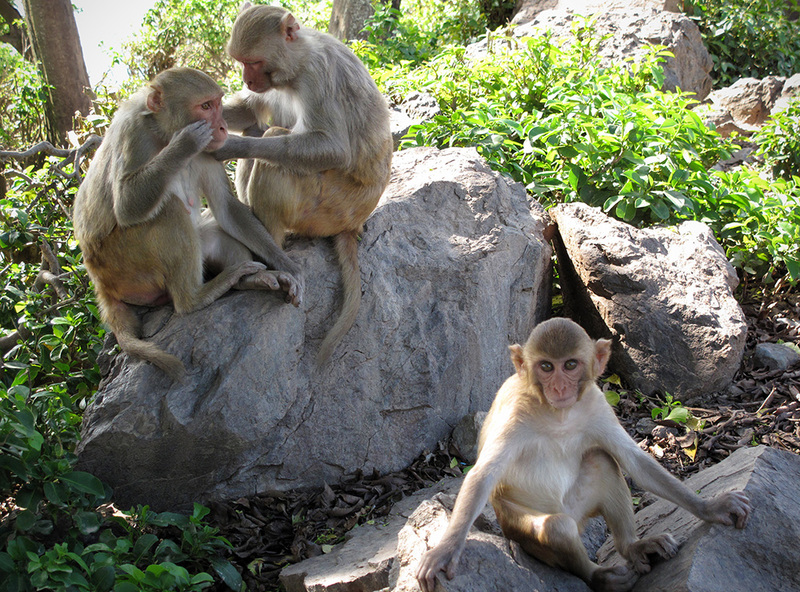 By studying rhesus monkeys, researchers have identified a brain network dedicated to processing social interactions—a discovery that offers tantalizing clues to the origins of our ability to understand what other people are thinking. Studies how the brain processes visual cues from faces to better understand perception and social cognition. This work was supported by the Howard Hughes Medical Institute, the Center for Brains, Minds, and Machines funded by National Science Foundation, the National Eye Institute of the National Institutes of Health, the National Institute of Mental Health of the National Institutes of Health, Human Frontier Science Program, the McKnight Foundation, the Pew Charitable Trust, and The New York Stem Cell Foundation.